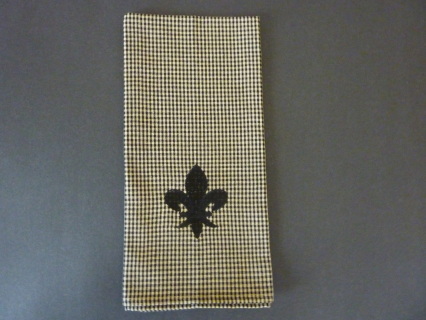 These charming Fleur de Lis dish towels are embroidered in Kentucky. 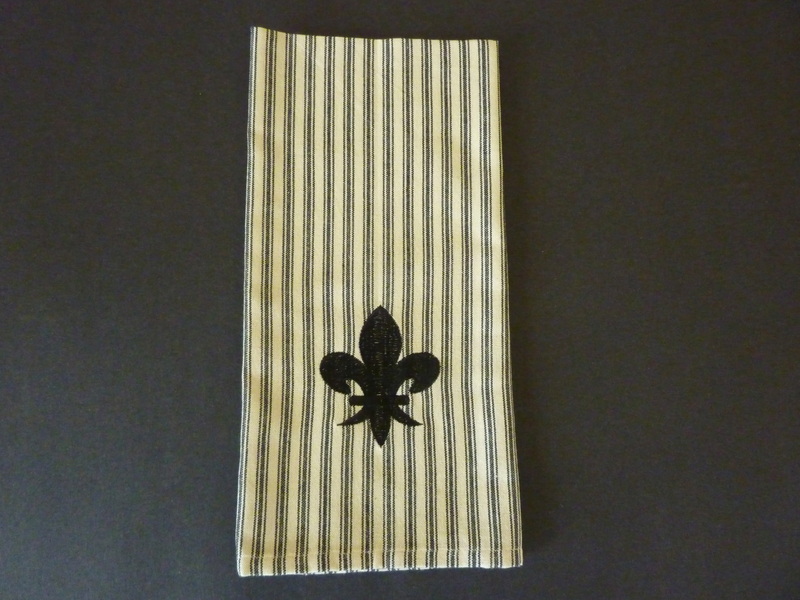 These towels are great to mix and match ... there is a color and pattern for every kitchen! 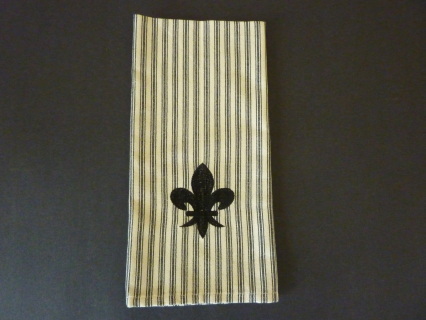 Perfect hostess gift or birthday gift ... or a treat for yourself! 100% Cotton. 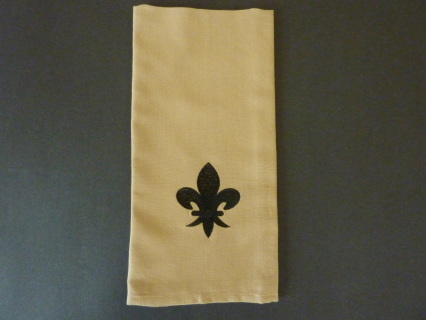 Towels made in India. 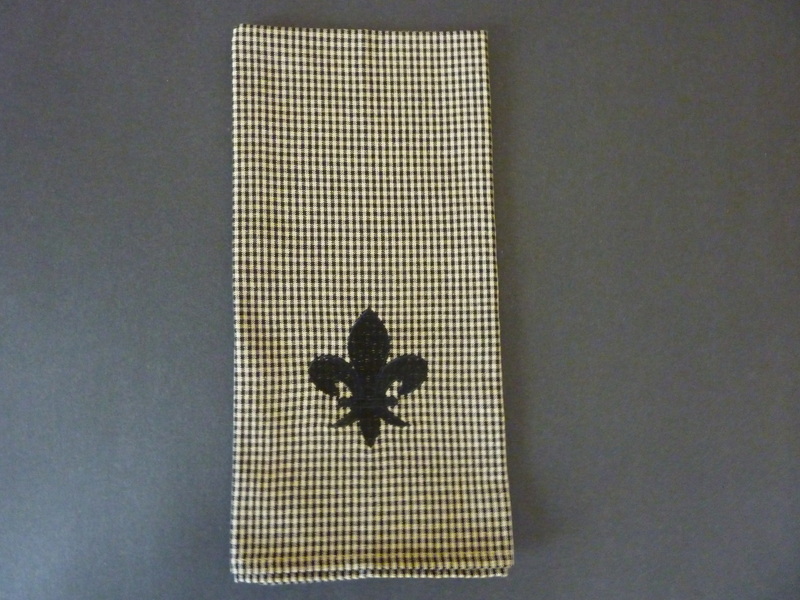 Dish towels measure 20" x 28". 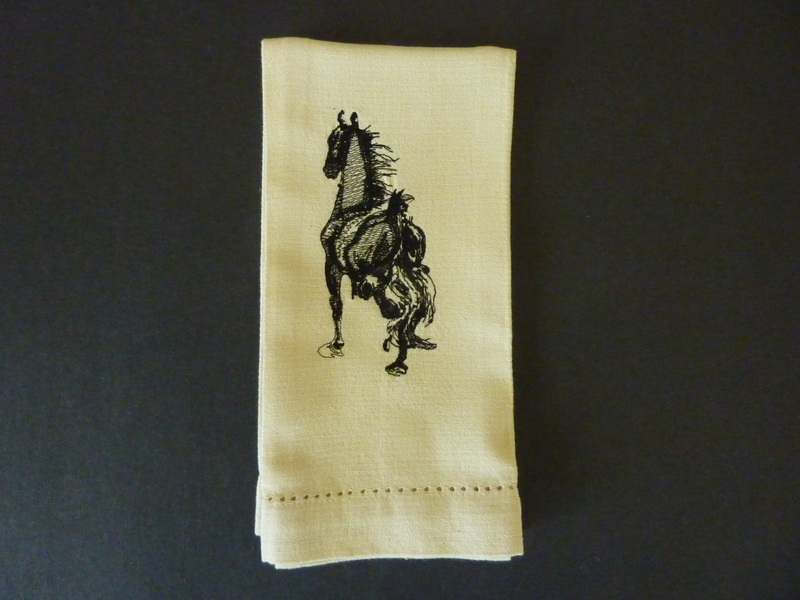 These charming guest towels are embroidered in Kentucky. 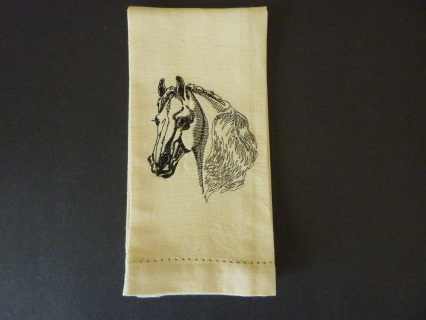 Available in three different designs: Trotting Horse, Fleur de Lis and Horse Head. 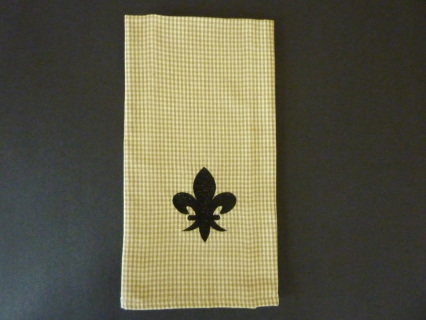 Jazz up your guest bathroom with one of these decorative towels. 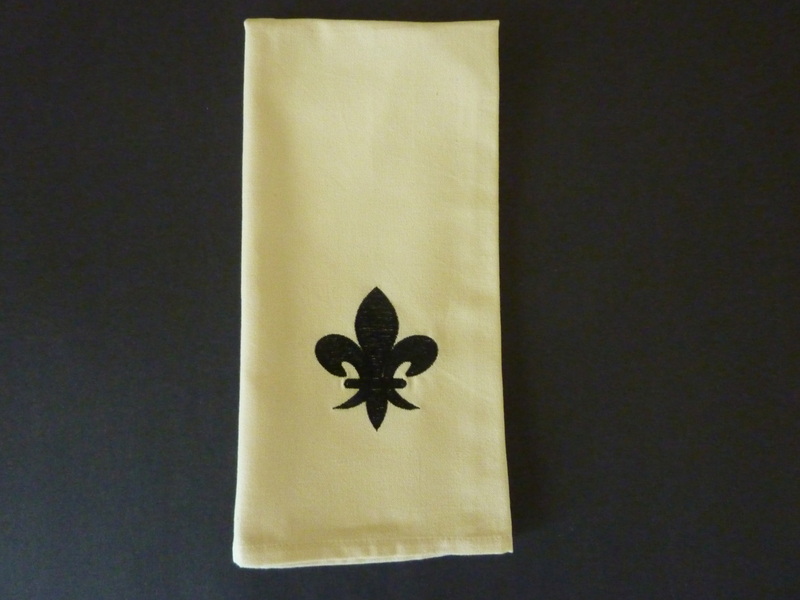 Perfect hostess gift or birthday gift ... or a treat for yourself! Guest towels measure 14" x 20". 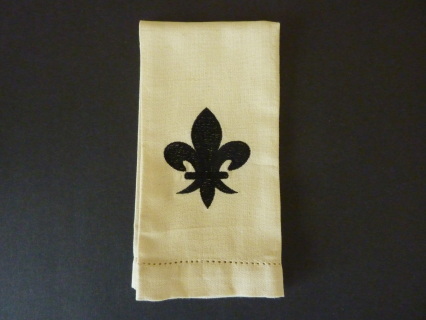 Fleur de Lis, Trotting Horse, and Horse Head. 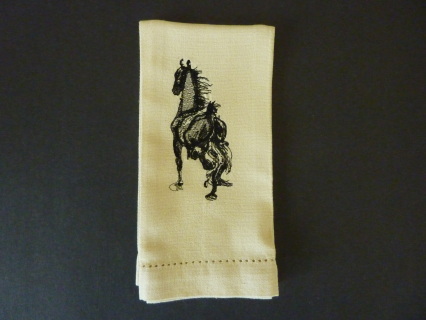 These charming guest towels are embroidered in Kentucky. Available in three different designs: Horse Head, Trotting Horse, and Fleur de Lis.